Have you ever heard of bone broth? It refers to a delicious and comforting stock traditionally made by simmering animal bones in water for a long period of time (between 8-24 hours). As the bones simmer, they release powerful vitamins, minerals, and other beneficial healing properties. Remember when you were sick as a kid and your grandma made you chicken soup? Well, she was onto something! Bone broth doesn’t only tout big benefits for us humans. 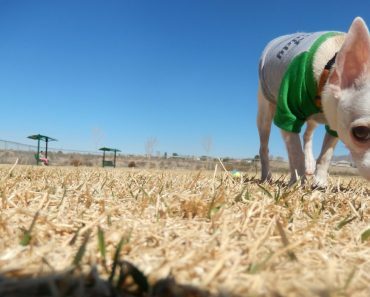 Our canine companions also reap many rewards from indulging in the tasty broth. 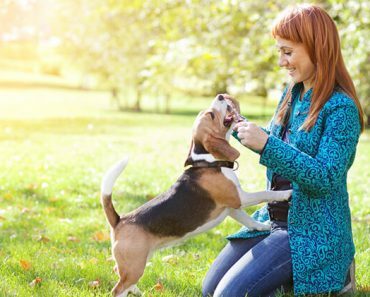 Read on to find out the top health benefits for both humans and dogs. 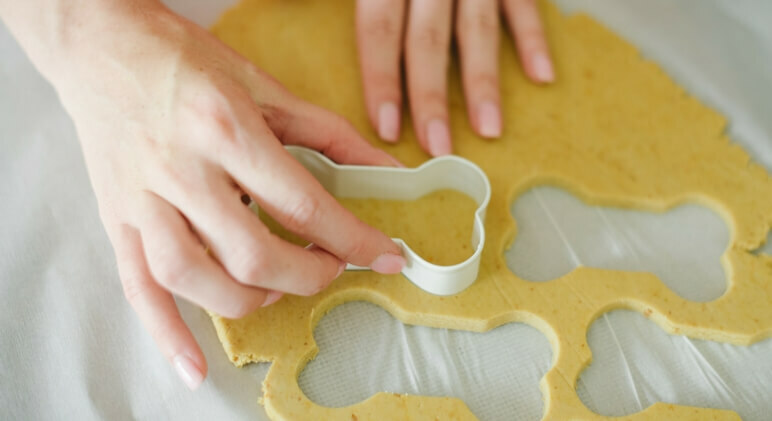 The lining of your (and your dog’s) digestive tract is full of tiny pores that keep harmful bacteria, toxins, and undigested food particles from passing into the bloodstream. A combination of antibiotic overuse, over-vaccinating, eating a highly processed diet, and stress can cause those pores to widen. The problem? This allows those harmful substances I just mentioned a second ago to enter into their bloodstream. It’s called Leaky Gut Syndrome. Here’s the good news: Bone broth is loaded with a gooey substance called gelatin (AKA broken down collagen). Experts say gelatin is key for repairing a damaged intestinal tract since it helps to seal the enlargened pores. 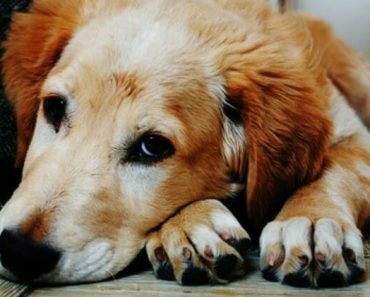 If you have a senior dog who suffers from joint pain then you’ll want to listen up. The gelatin produced from simmered animal bones, cartilage, ligaments, tendons, and marrow also supports healthy joints. Did you know inflammation is at the root of almost all disease? Inflammation is a process designed to actually protect the body when injured or under threat. But, when the immune system overreacts, an overload of defense cells wind up causing more harm than good. Now for some good news. The amino acids in bone broth are linked to lowering inflammation. So, drink up! For starters, this healing broth is loaded with nutrients that boost the immune system. 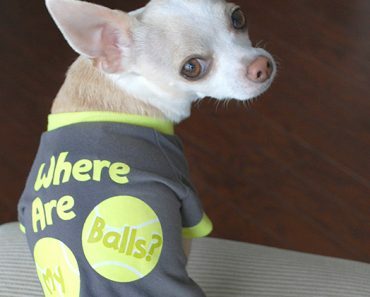 And we all know a strong immune system helps a sick dog bounce back to health! Additionally, it’s considered a good food source for canines in need of a break from solid food. 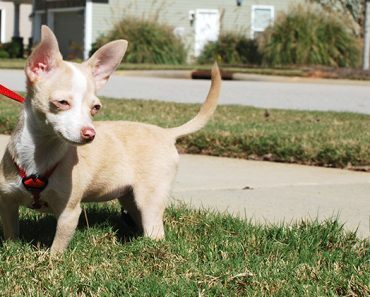 For example, if a dog experiences terrible bouts of diarrhea or stomach upset. The collagen and gelatin in bone broth help skin maintain its youthful texture and appearance. Okay, I know what you’re thinking: “Dogs could care less about getting wrinkles!” And that’s a really good thing for all of the Shar Peis out there. But, in all seriousness, it’s still extremely important for your pooch to maintain a healthy skin and coat. Those are the only things that keep him protected from the elements! You can easily make your own bone broth at home. Simply add animal bones to a crockpot or stovetop pot, fill with water, and add a splash of apple cider vinegar. 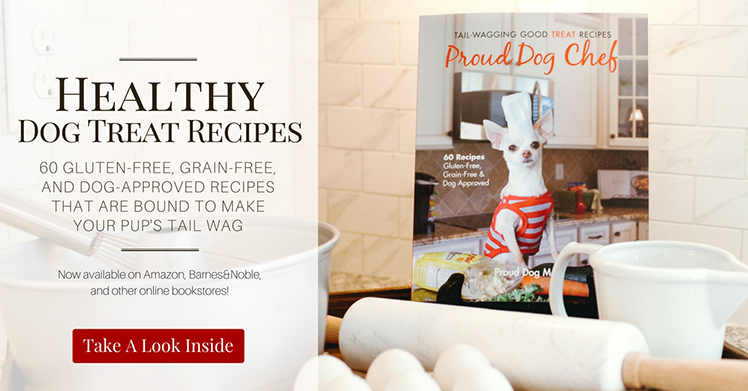 You can also add some carrots and other dog-approved veggies to enhance the flavor! Once the bones have simmered for several hours and the meat has fallen off of the bones, strain and let cool. 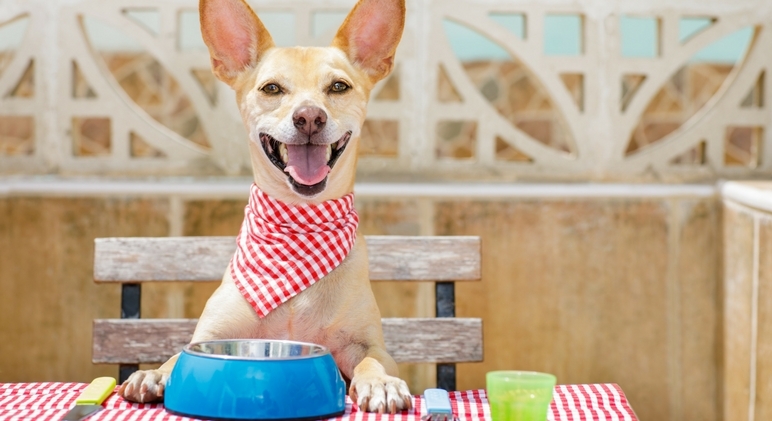 Serve the liquid straight up in a bowl or drizzle on top of your pup’s food. *Note: never feed your dog cooked bones! Love the idea of bone broth, but don’t have the time to make your own? Try bone broth powder! I recently tested out this dry blend from Project Paws and am excited to share my experience with you. This bone broth powder made specifically for dogs is manufactured right here in the USA. Made from just two wholesome ingredients, this powder features Free-Range Elk Bone and Premium Grade “A” Naturally Shed Wild Elk Antler. So, yes, it’s gluten-free, grain-free, and soy-free. Instead of checking your pot of boiling bones each hour for upwards of 24 hours, all you have to do is sprinkle a heaping spoonful (spoon included) of the dry powder directly into one of your dog’s daily meals. Whether you feed kibble or fresh, this stuff makes a great food topper. My little guys also like it mixed into a little Organic peanut butter and stuffed in their Kong. It’s an easy and convenient way to provide a boost of nutrients. 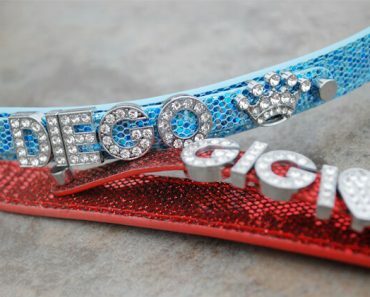 Each purchase also provides 7 meals for shelter dogs. 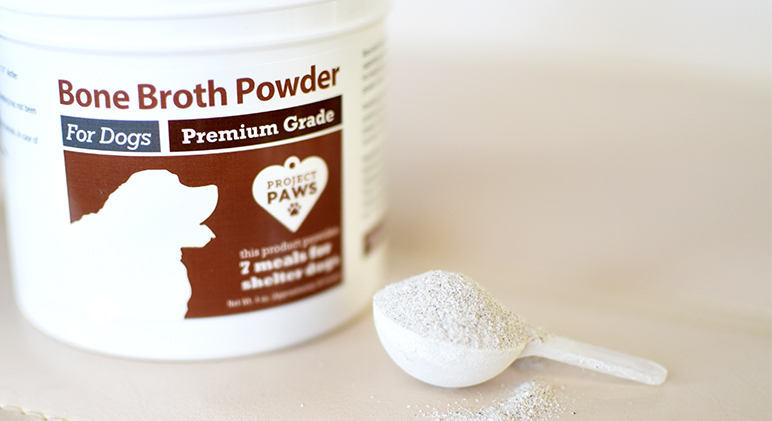 Find out more about this bone broth powder by visiting the iHeartDogs website! Why Is My Dog Constantly Biting and Licking His Paws?